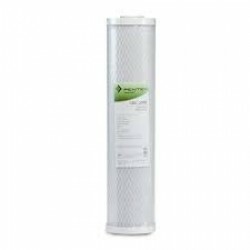 We stock a full range of Pentair Pentek Water Filter Cartridges. Pentair is the worlds largets manufacturer of water treatment and purification products. The Pentek P-250 comes in a 2-filter kit that includes one sediment filter and one carbon block filter. Pentek recommends replacing the P-250 filter set every 6 months for the highest quality of drinking water. The P-250 can be used in a variety of undersink systems Culligan SY-2650, Culligan .. 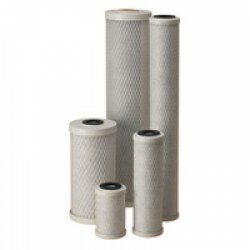 The Pentek CBC-10 0.5 micron solid Carbon Filter with lead-reduction media filters lead, VOC's, extra-fine sediment, bad taste and odor, and chlorine taste and odor from your drinking water. The unique structure of the carbon enables it to reduce GIARDIA, Cryptosporidium, Entamoeba and Toxoplas.. The Pentek CBC-20 cartridge is highly effective at reducing unwanted tastes and odors, including chlorine taste & odor, from potable drinking water. 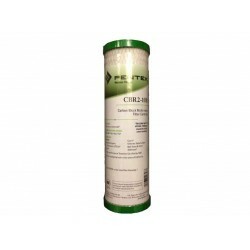 The unique structure of the carbon block enables it to reduce Giardia, Cryptosporidium, Entamoeba, and Toxoplasma cysts and fine sediment particles dow..
Pentek Genuine CBC-20BB Replacement Water Filter 20" x 4.5" systems. Filter produces healthier, better-tasting drinking water. The Pentek CBC-20BB reduces 99.5% of Cryptosporidium, Giardia, Entamoeba,and Toxoplasmacysts (based on manufacturer's internal testing). Premium high capacity ba..
Pentek CBC-BB Big White or Big Blue Replacement Water Filter 10" Nominal 0.5 micron Carbon Briquette The Pentek CBC-BB reduces 99.5% of Cryptosporidium, Giardia, Entamoeba,and Toxoplasmacysts (based on manufacturer's internal testing). 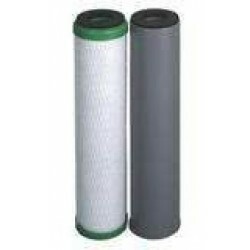 The Pentek CBC-BB filter cartridge has premium hig.. The Pentek CBR2-10 replaces and is interchangeable with the following part numbers: American Plumber WLC-R American Plumber W-40 Sears 34377 Ace Hardware 48167 GE FXULC Honeywell RF-62 Pentair 155268-43 Flotec LC1 The Pentek CBR2-10 Under Sink Carbon Filter with lead-reductio..